There are 300 companies listed in our Attorneys category for Atlanta. This page shows listings 1 to 20. If you'd like to check the Attorneys category for other cities in Georgia click a link on the left. 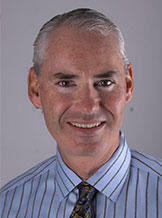 John M. Foy is the founding partner of the law firm John Foy & Associates, P.C. He was admitted to the practice of law in 1993 for the State of Georgia. He was also admitted to the U.S. District Court Northern District of Georgia in that same year. He is a native of Milwaukee, Wisconsin and a graduate of Marquette University High School. He received a B.A. in political science from the University of Dayton, in Dayton, Ohio, and his law degree from the Ohio Northern University School of Law, in Ada, Ohio. 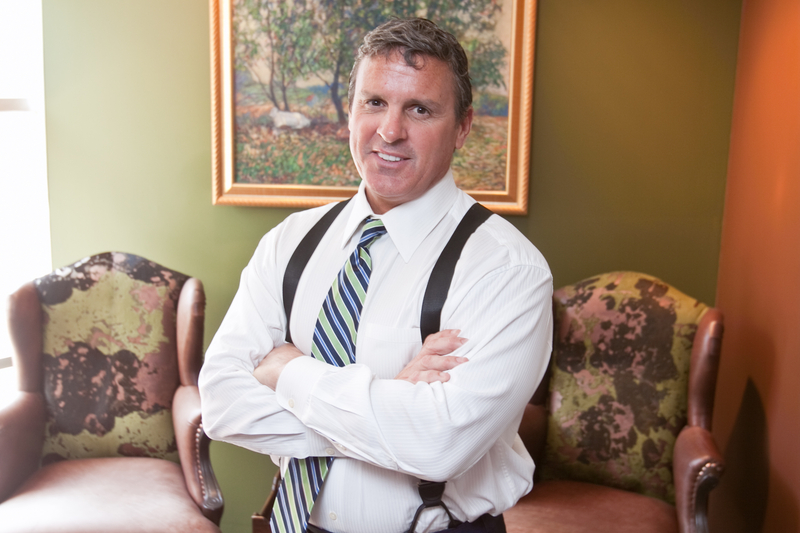 Mr. Foy has devoted his entire career to the area of personal injury and insurance law. 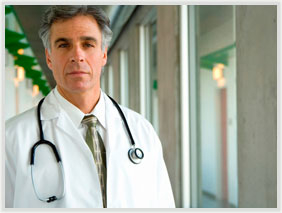 He devotes 100% of his practice to representing victims who have been injured by others negligence. He has conducted numerous jury trials throughout Georgia. He has focused on wrongful death and catastrophic injury cases, as well as cases involving punitive damages. 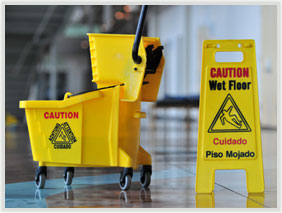 He has handled a substantial number of premises liability cases as well. He has also been very involved with mass tort litigation. He is a member of the State Bar of Georgia, the American Association of Justice, the Georgia Trial Lawyers Association, the American Bar Association, the Atlanta Bar Association and The National Trial Lawyers Top 100. Education: University of Dayton, B.A., The Ohio Northern University School of Law, J.D. 5855 Sandy Springs Circle N.E. An Indiana native (Hoosier Boy), but now a true Atlanta Falcons and Braves fan, W. Winston Briggs has over 25 years of experience and tried more than 150 jury trials. After watching his grandfather, parents, and siblings practice law, Winston decided to follow in their footsteps and pursue this profession at a very young age. Winston obtained his B.A. Degree from DePauw University in 1984 and graduated from Wake Forest University Law School in 1987. Upon graduation, he passed the Georgia Bar exam and joined the law firm of Decker & Hallman (the predecessor to Decker, Hallman, Barber & Briggs.) He is now currently a member of the Georgia Bar, the Florida Bar and multiple federal courts in Georgia, Florida and Louisiana. Winston also serves as President of the West Midtown Business Alliance and is Vice President and serves on the Board of Directors of Peachtree Childtown School, an educational preschool for children in Atlanta. Winston Briggs has successfully tried a wide variety of cases over the years including ones involving auto accidents, trucking accidents, brain injuries, spinal cord injuries, wrongful death, medical malpractice, chemical exposure injuries, Reactive Airways Dysfunction Syndrome (RADS) and many more. Winston works closely with his clients, meeting them at the beginning and throughout each case. His approach to the law is to prepare every case as if it is actually going to go to trial. Helping his clients acquire the full compensation they deserve is a rewarding experience for this attorney. There is virtually no type of personal injury case Winston is not equipped to handle and win. When he is not working hard fight personal injury cases, Winston enjoys spending time with his family and friends, on the golf course or breaking a sweat at the gym. Even a seemingly minor car accident can result in life-changing injuries like painful spinal damage. A driver whose negligence causes a car crash can and should be held accountable. Unfortunately, automobile wreck cases can be complicated – especially when insurance companies don’t want to pay on a claim. That’s why it is important that you have tough, tenacious representation from an expert personal injury lawyer who knows Georgia motor vehicle accident law – and will fight to get you the compensation owed to you. Sharing roads in the busy city of Atlanta can be challenging! But bicyclists have the same rights to use the road as drivers. 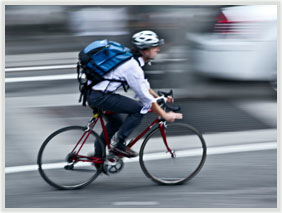 If you have a bicycle accident, don’t remain a victim – when they don’t see you, see us! Don’t take the blame for someone else’s recklessness or try to fight with insurance companies on your own. The W. Winston Briggs Law Firm has over 25 years of experience dealing with vehicle accident cases and insurance company tricks, and we won’t let this happen to you. The insurance companies will do whatever they can to make it look like a bicycle accident was your fault in order to avoid responsibility for your injuries. We want you to feel secure when biking on Atlanta’s roads knowing that our aggressive, experienced attorneys are available to help you fight for the full compensation you deserve after a bicycle accident. Take a look at our strong track record of success in bicycle accident cases here or contact us today for more information on our bicycle accident legal representation. When you hire our firm, we pursue every legal option available in an effort to secure the best possible outcome in your case. If the insurance company refuses to negotiate in good faith, we are ready to go to trial at any time. We are prepared to do whatever it takes to protect your interests. When you or a loved one has suffered from injuries as the result of a truck accident, it is imperative that the attorney you select to handle your claim has extended experience with cases involving these particular motor vehicles. In an accident between a commercial truck and a passenger vehicle, the passenger vehicle is at huge risk of physical injury. With trucks often reaching 75 feet in length and weights of up to 80,000 pounds, the possibility of serious injury to other drivers or their passengers is extremely high. Running out of the travel lane, either off the road or into another lane. Loss of control due to speeding, cargo shift, systems failure, poor road conditions, or other reasons. Rear-end collisions with other vehicles, specifically in the truck’s travel lane. Truck accidents cause over 4,800 fatalities across the United States each year. Adding to this high number of fatalities, another 100,000 individuals are injured in truck accidents yearly. 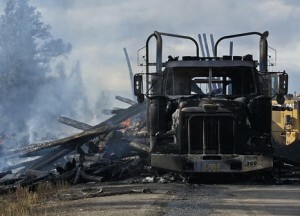 Briggs1Truck accident cases can be quite complex because more than one party may share responsibility. Depending on the circumstances of your accident, the driver, the driver’s employer, the company that maintains the truck, the manufacturer and others could all be held partially liable. Investigate if the vehicle was maintained properly. Review the credentials of the truck driver. Determine if local traffic laws were followed. Review the trucking company log books to ensure that all regulations were properly followed. Analyze the scene where the accident took place, examining police reports and photographs, and interviewing witnesses. Try to identify any defects in the truck and the other vehicle involved in the accident. Furthermore, in the state of Georgia, companies that operate tractor-trailers and other types of large trucks typically carry a large amount of insurance coverage. However, after a trucking accident, victims often must turn to other insurance as well as the tractor-trailers company’s assets for compensation. Not surprisingly, these companies tend to seek to obtain the lowest settlement possible. That’s why it is important to contact an experienced Atlanta tractor-trailer crash lawyer from the W. Winston Briggs Law Firm to ensure that you receive the maximum amount to which you are entitled. Our firm is here to take care of your legal issues so that you may get back to what’s most important, and sooner rather than later – recovering and returning to your day-to-day life. If you or someone you know has been involved in a truck accident, contact the W. Winston Briggs Law Firm to schedule a free consultation with an Atlanta tractor-trailer wreck attorney. Pedestrians who are hit by a car can suffer catastrophic injuries, including broken bones, traumatic brain injuries, serious spinal cord injuries and disfigurement. It is the driver’s responsibility to see pedestrians and give them the right of way according to the law. 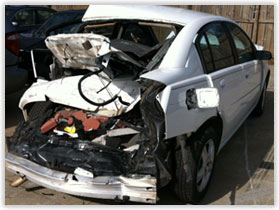 If you have been injured by a negligent driver, you may have a claim for damages. 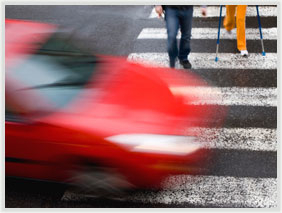 Be sure that you have an experienced pedestrian accident lawyer on your side from the start. At the W. Winston Briggs Law Firm in Atlanta, we fight aggressively to see that you receive full and fair compensation for your injuries. We understand how overwhelming it can be when you suffer an unexpected injury. We will take the burden off your shoulders and handle all the legal issues for you so you can focus on your recovery. Briggs WinstonIn addition to pedestrian accidents involving motor vehicles, we handle a variety of other cases. We have helped clients successfully resolve pedestrian injury cases involving uneven pavement, uncovered manholes, sidewalk or road construction and collisions with bicycles, skateboarders or other pedestrians. When necessary, we will bring in accident reconstructionists and other experts to examine the scene of the incident to preserve critical evidence. We will do everything we can to build the most compelling possible case on your behalf and diligently seek maximum compensation for medical expenses, lost wages and economic losses. 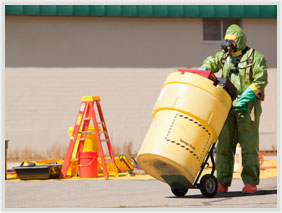 W. Winston Briggs has been specializing in toxic exposure cases for over 25 years. He has worked on cases throughout the entire U.S., fighting for the compensation you deserve after suffering from an injury due to harmful toxins. Winston successfully handles toxic exposure claims that involve injuries caused by chemical poisons, irritants, gases, smoke, pesticides, motor fuels and more. These types of cases are unique, and therefore, sometimes difficult to prove. However, Winston has a successful track record for settling such cases since 1987. Toxic materials are substances that can cause an individual harm if it enters the body, and they can so by exposure. The most common route of exposure is inhalation. Other routes include through the skin and ingestion. And, if exposed, can cause one serious health effects. Exposure to chemicals can occur on the job, in the comfort of your own home or through environmental contamination. What Does A Spinal Cord Injury or Brain Injury Case Involve? When a person suffers a brain or a spinal cord injury as a result of the negligence or carelessness of someone else, it is important that they or their family consult a qualified, experienced attorney as soon as possible. Statutes of limitation and other laws can bar or limit recovery for such claims if too much time passes after the event that causes the injury or death. An attorney who is experienced in handling brain and spinal cord injury cases can also counsel you on what to expect during the course of the case. More important, a qualified attorney can provide advice as to what actions the victim and victim’s family should and should not take to protect the injured party’s rights and interests during the case. There are two general types of lawsuits that can be filed in brain and spinal cord injury cases: a personal injury case or a wrongful death case. There are somewhat different items of recovery that are available in each type of case. If an injured party passes away as a result of the injury during the pendency of a case, a personal injury case will be converted into a wrongful death case. Why Choose the W. Winston Briggs Law Firm to Handle Your Brain Injury or Spinal Cord Injury Case? Brain injury and spinal cord injury claims are extremely complex, are typically hard-fought, and require a skilled attorney who is capable of taking on highly educated doctors and experts hired by the defense. Many times it is difficult to prove whether or not a person’s health problems or physical symptoms after an injury are the result of a brain or spinal cord injury, or instead are the result of normal health or aging factors, such as dementia, Alzheimer’s disease, brain atrophy, or congenital abnormalities. Briggs WinstonSymptoms of brain injury usually develop soon after the trauma. In some cases, however, an injured person will have no symptoms at first, only to develop serious symptoms hours or days later. In minor cases, a person with a head injury may have a mild headache, a lump on the head, and a bruise or a cut on the scalp. The absence of major physical symptoms, however, does not rule out a serious brain injury. Symptoms may not appear until much later, especially in cases where an injury causes fluid to build up within the brain. For this reason, a person who has experienced a brain injury should be watched closely for any sign of delayed symptoms. Brain and spinal cord injury cases usually involve the testimony of neurologists, neurosurgeons, neuropsychiatrists, orthopedic doctors, vocational rehabilitation specialists, and life care planners. The trial of such cases can be a daunting, stressful, and hard-fought experience. The W. Winston Briggs Law Firm is well-equipped to successfully handle brain and spinal cord injury cases. Winston Briggs has tried numerous brain injury and spinal cord injury cases during his career. Mr. Briggs’ experience includes cases involving brain and spinal cord injuries caused by trauma, falls, motor vehicle accidents, trucking accidents, medical negligence, sports injuries and exposure to chemical and toxic substances. Mr. Briggs and his law firm know exactly what is involved in brain and spinal cord injury cases, including what evidence and expert testimony is needed to win the case. They are familiar with how to cross-examine highly educated expert witnesses for the defense, as well as how to overcome typical defenses asserted by the opposition. 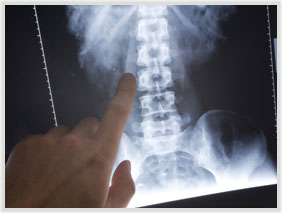 In a brain injury or spinal cord injury case, experience and skill matter. Mr. Briggs has experience and a history of success in these types of cases. The W. Winston Briggs Law Firm can be trusted to obtain the best possible result for you and your family in brain and spinal cord injury cases. The loss of a loved one can be devastating, but you have the right to seek justice. 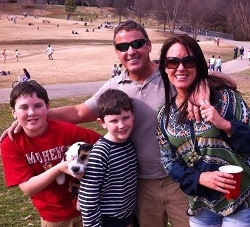 The Atlanta Law Firm of W. Winston Briggs represents families of wrongful death victims. A wrongful death claim arises when a person is killed as the result of someone’s negligent. Our firm’s experienced wrongful death attorneys are determined to help you recover the compensation needed to ease any financial burdens during this hard time. While no amount of compensation can replace a loved one, Georgia wrongful death laws are designed to help victims of a wrongful death regain stability after an accident. Wrongful death is defined as the loss of a life due to another individual’s negligent or deliberate behavior. These types of lawsuits seek to hold another party accountable for avoidable loss of life. 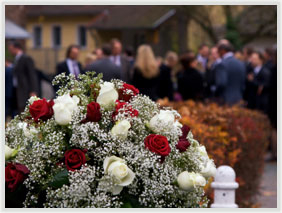 Attorney W. Winston Briggs has over 25 years of experience advocating on behalf of families who have been emotionally and financially affected by a wrongful death. These are only a few examples, as a wrongful death action can be based on just about any types of negligent act which results in the death of an innocent individual. 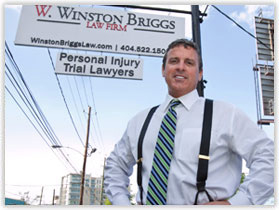 Briggs with AttorneyAt the W. Winston Briggs Law Firm in Atlanta, we dedicate our entire practice to helping people who have suffered life-changing injuries. We understand the damage that can be done in these cases, and we know what it takes to secure the compensation you need now and in the future. We will not recommend that you accept any settlement offer unless we are convinced that it is in your best interests to do so. With every case we take, we work diligently to see that the negligent parties are held accountable for the harm they cause. We always try to negotiate a fair settlement without the need for a lengthy court battle, but our opponents know that we will do whatever is necessary to protect our clients’ rights. We prepare every case as if it is going to trial, and we will not hesitate to pursue litigation in search of the best possible outcome on your behalf. Our catastrophic injury lawyers have a complete understanding of personal injury law and we know all the benefits that the law provides to injury victims. You can rely on us to use every legal resource at our disposal to put you in the best possible position as you work to recover from your injuries. Preventable medical error is currently the sixth leading cause of death in the United States. The W. Winston Briggs Law Firm represents injured patients and their families in lawsuits against physicians, nurses, clinics, surgeons, dentists, and other medical professionals whose negligence cause serious injury to patients. Briggs Winston As a victim of medical malpractice, you may be entitled to recover your past and future medical costs, past and future lost wages, and damages for pain and suffering incurred as a result of the malpractice. With over 25 years of experience, Atlanta attorney W. Winston Briggs is here to help you or your loved one fight for, and receive, the compensation you deserve for your injuries due to a slip, or trip, and fall accident. We understand that not all injuries caused by slipping and falling on another’s property can result in recoverable damages, but our firm employs skilled experts, including engineers, accident re-constructionists and medical experts, who can determine if an injury was due to unreasonable or defective conditions on the property. Winston recently represented a client in a slip and fall case, where he received a $700,000 settlement for her after she slipped in her office building. Whether your slip, or trip, and fall incident occurred in your office building or in the parking lot at the grocery store, Winston Briggs will work with you to determine if you have a viable lawsuit. Lost wages or loss of income. Be sure to keep records of all your medical bills and supporting documentation for these types of claims. In Georgia, there is a limit to the length of time you are able to file a slip, or trip, and fall lawsuit. Due to the complexity of these cases, it is important to contact an experienced Atlanta slip and fall attorney from our firm to assist you in proving your claim for compensation for your injuries. Briggs WinstonAttorney Winston Briggs brings over two decades of experience, and more than 150 jury trials, to his practice of personal injury law. Having worked for the insurance industry in the past, he has a unique understanding of both sides of the personal injury process which helps him secure optimum result for his clients. The W. Winston Briggs Law Firm has the experience and understanding necessary to successfully evaluate and handle any of these types of personal injury cases, and more.